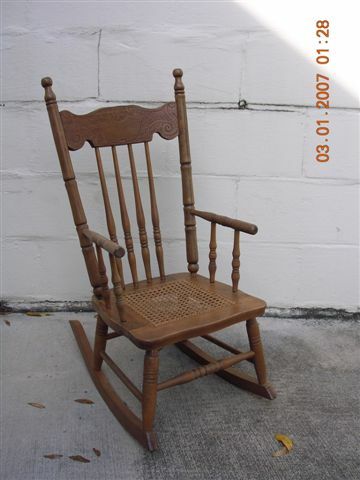 29" antique rocking chair. 22" rockers. 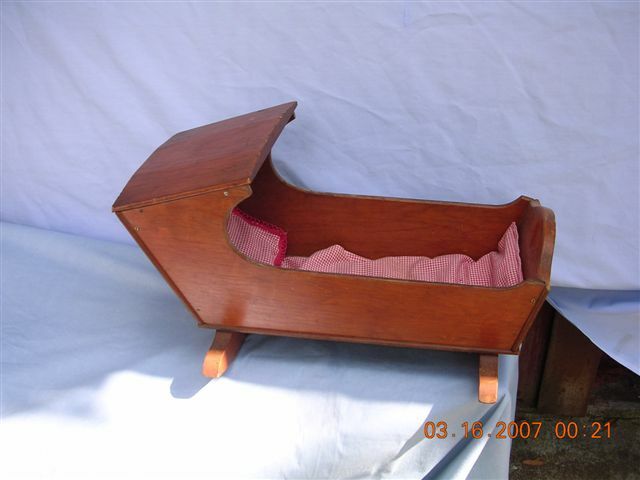 12" long old cradle with pad and pillow.